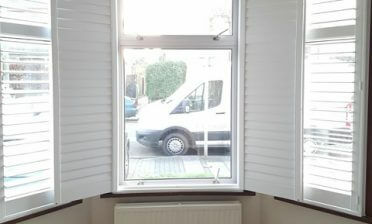 Ben and Kirk were in Herne Hill, South East London to install some of our tier on tier shutters for two windows. 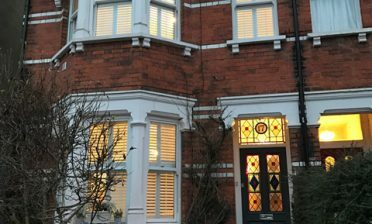 The windows were exactly the same size and needed the same style and finish of shutters to match. 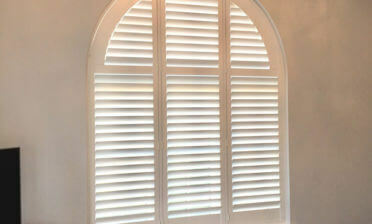 To create these shutters we used material from our Antigua Range. This range is manufactured using medium density fibreboard which is then coated using polypropylene. 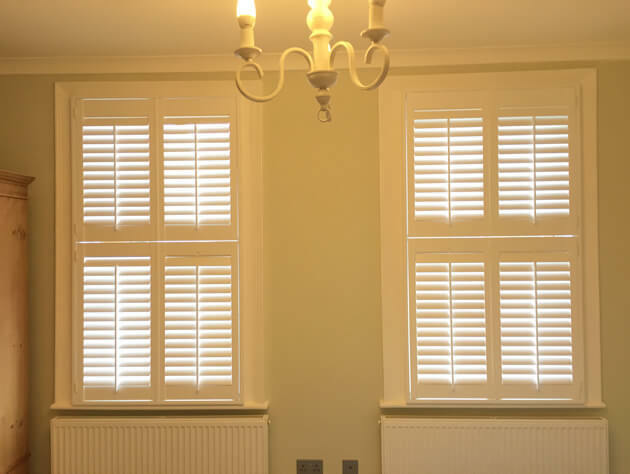 The shutters are the perfect affordable choice without compromising on quality. We can finish these shutters in 6 different shades of white paint. The shutters were mounted to the windows using a 4 sided insert L frame. The shutters are made in the Tier on Tier style which allows the homeowners to fully open and close the top and bottom sections independently while also being able to adjust the shutters on each panel. One of our most versatile solutions! We used pure white paint to finish the shutters with matching hinges, which fits perfectly with the thick window framing also in white. Using centralised tilt rods created a traditional, elegant look which matched the existing style and decor of the room!